Have you noticed a few changes lately on Side Arts? Some are basic technical improvements. Other changes are to indicate more clearly our social equity mission. Notice that the conversation on social equity comes first. As it should. This is our why – our reason for being. Our how resides in the content created and shared by the global community of visual artists, art organizations, and art supporters that use Side Arts. 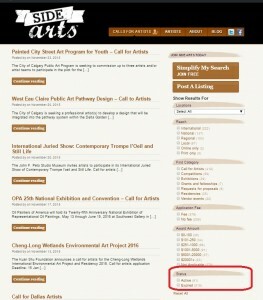 Lastly, our what is a call for artists listing and art promotion service. Although not a perfect definition and not all encompassing, we define social equity as the advancement in diversity, inclusion, affirmation, justice, mental health wellness, access, safety, and consent. We feel that it is our social responsibility as a public facing organization that shares content to take an active role in pursuing social equality. As a matter of fact, we believe that all organizations should take this as a basic responsibility. This is the bare minimum for existing in the public realm. We have added questions into all our content forms to reflect this. Albeit not mandatory. We cannot and should not force our beliefs on others. 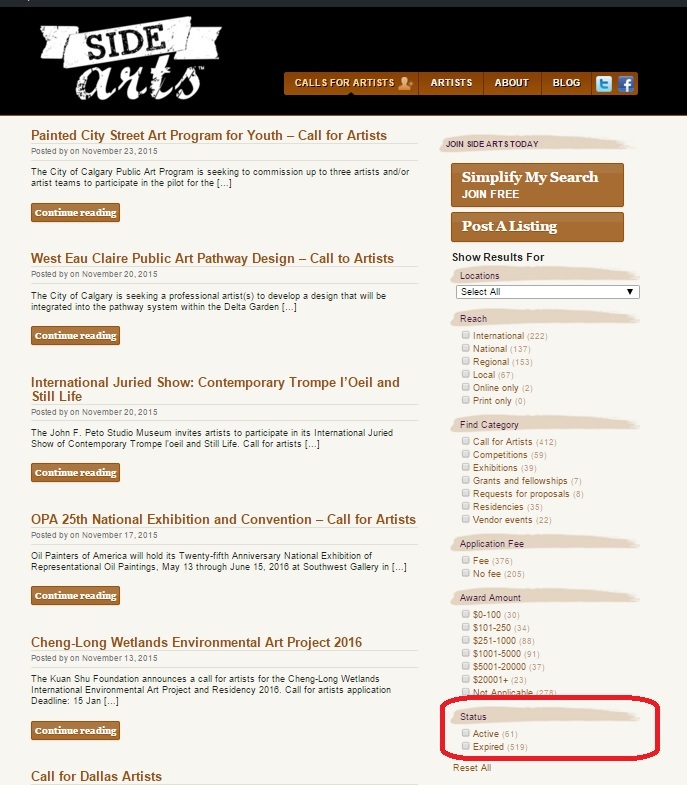 We ask those promoting calls for artists what their organization is actively doing to promote social equity. If applicable, we ask how the opportunity they are sharing promotes social equity. On the artist side, we ask how their art promotes social equity. Lastly and over the next few months, we’ll start reaching out to social equity thought leaders and publishing our conversations with them on our blog. All artists and organizations should take promoting social equity as a basic responsibility. No step is too small. No act is too great. The traditional view of the artist is that of the second class citizen, incompetent and maladjusted. Their work is a past time, activity for children or seniors, or expressly therapeutic. We can’t change traditions, but we can change the meaning and purpose. We have taken the challenge to do the right thing. It’s not easy. We’ll probably alienate some of our clientele but, if that’s the case, we don’t want them anyway. What will you do? Will you take a stand even if it’s an uncomfortable situation? Help us share our message. Share this post with other organizations, news, and friends.